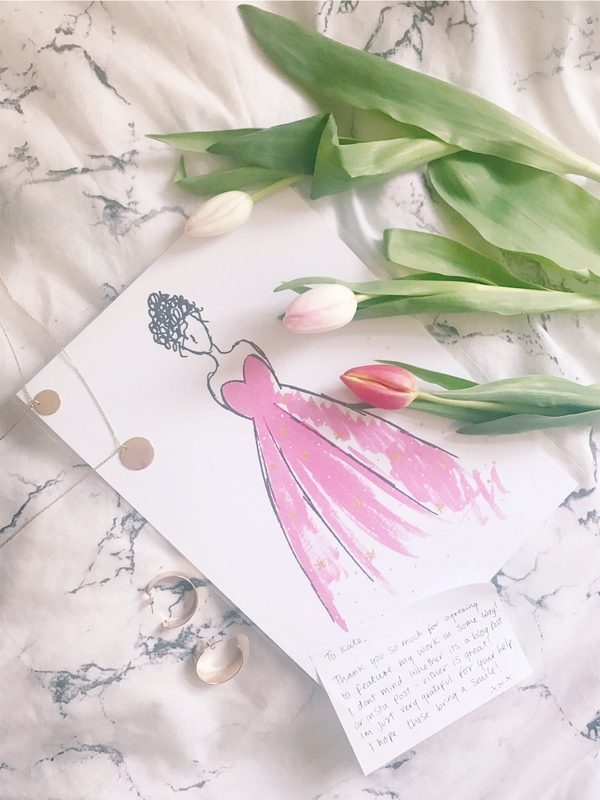 When I had my first blog, I decided that my ‘niche’ was promoting small businesses; I loved it, specifically hunting out clothes shops because back then, my biggest love was fashion. Fast forward a few years and I’ve managed to expand my interest wider than just small business fashion boutiques. when I rejoined Twitter, I was ‘recommended’ to follow Dorkface – aka the lovely Jemma – and I am so glad I did! 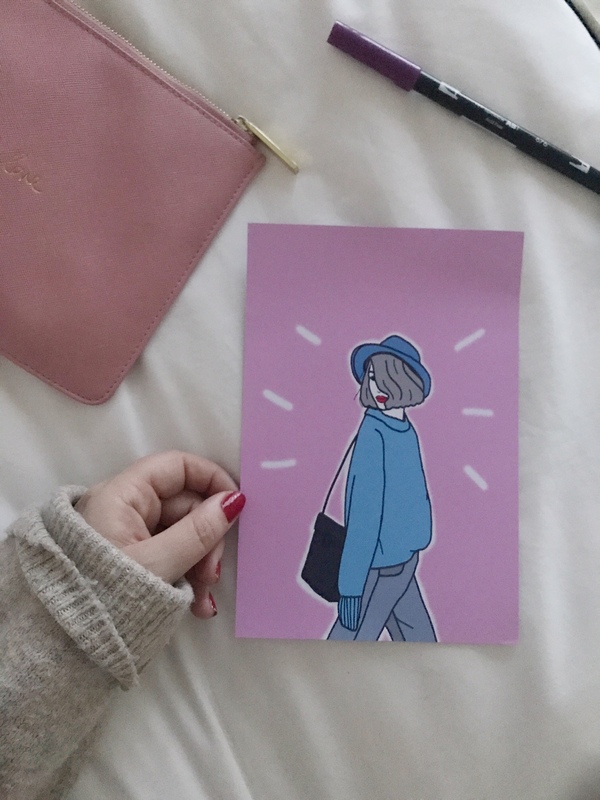 I watched as Jemma created more and more adorable stuff for her site and I purchased a big order not so long ago – she does the cutest stickers and prints , and was absolutely thrilled a few weeks ago when she asked if she could send some items for review! 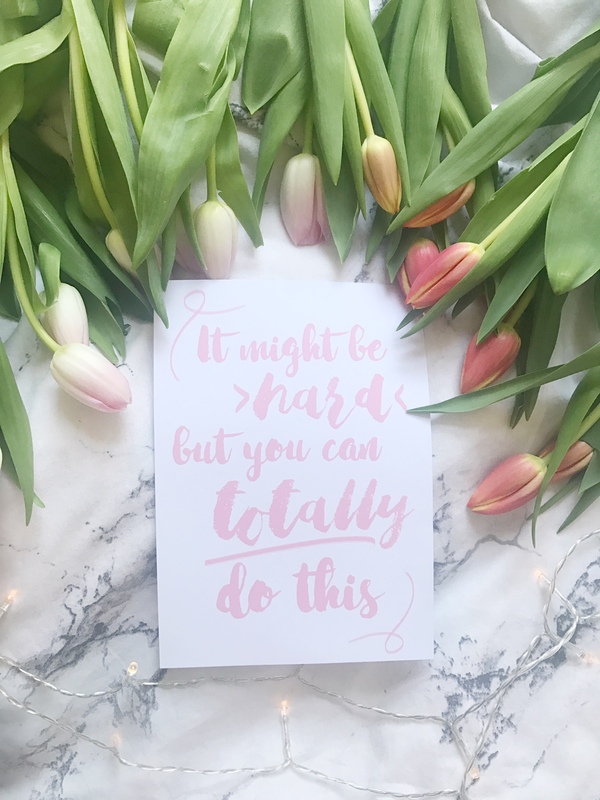 I’ve just found a new place which I’ll be moving in to next month, so I can’t wait to get some adorable prints framed up – including these beautiful few from Jemma – I really want more pictures on my wall, ideally a mix between my travel photos and motivational quotes in Jemma’s adorable illustrative style! 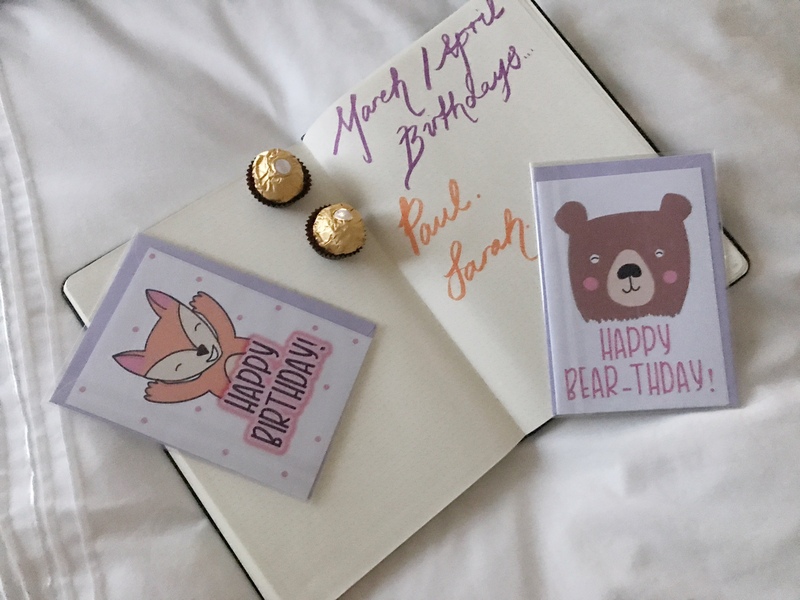 and the cutest cards for your loved ones on their buff-days! I’m so glad I started following Jemma, and that my passion for supporting small businesses has been completely reignited. I can’t wait to treat my friends to adorable bits and pieces from Jemma’s Etsy shop! 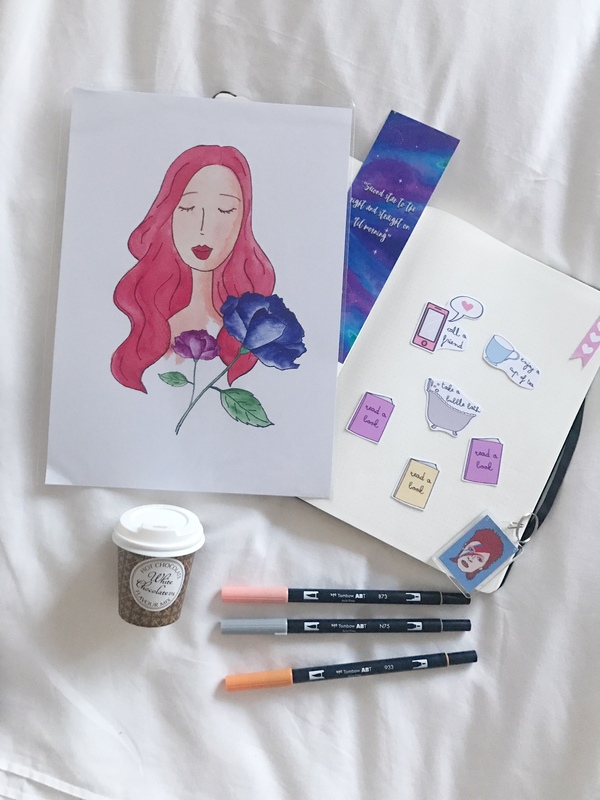 Click here to visit Dorkface Shop // visit Jemma’s Blog here, // Twitter here & unbelievably pretty and colourful Instagram here. Aren’t these items just so perfect? I was sent these items for review by Jemma, as always, this is my completely honest opinion. Next Post Running In Heels: Event Work! So far I only have two prints (because I don’t actually have a home ha!) but I love them. So creative. Isn’t she awesome!? Thanks so much for your lovely comment hun! Abbey Louisa Rose, your comments always make my day! One of my favourite sayings is “when you buy from a small business you’re not helping a CEO buy their third holiday home, you’re helping someone live their dream” and I think that’s so true – its such a lovely feeling and especially when you get such cute items like Jemma’s as the end result! 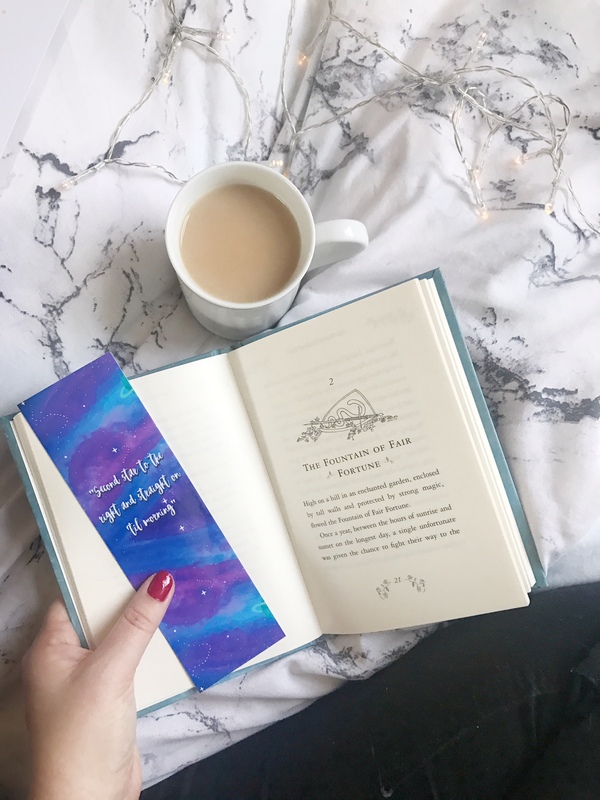 These are so cute and I am in love with the bookmark – I’ve made a purchase in the past for some stickers for my diary and I loved them. Defo have to check out her stuff again! Aren’t they perfect? Definitely worth a little spree in her shop! These are all so beautiful. I love her prints. I’m just going to check out her shop as I need more cards to add to my collection! Awww yes def order with Jemma – she’s just wonderful! Awh I didn’t realise Jemma sold that Peter Pan bookmark! I have that quote tattooed 🙂 So I would love that bookmark! I’ve purchased a few bits from Jemma before and I love supporting small businesses! It’s such a lovely bookmark isn’t it? I mix it up between my Kindle and paperbacks so it’ll definitely come in handy – what a cool quote for a tattoo! I love that your original niche was promoting small businesses, I didn’t know that but that’s so lovely! I love all of Jemma’s products, and have ordered a few lovely bits for myself from time to time! Hopefully I will have a house with a blogging room one day (big dreams, haha) so that I can fill it with Jemma’s lovely creations! Also, how cute are those cards? !